Healthy trees are happy trees. 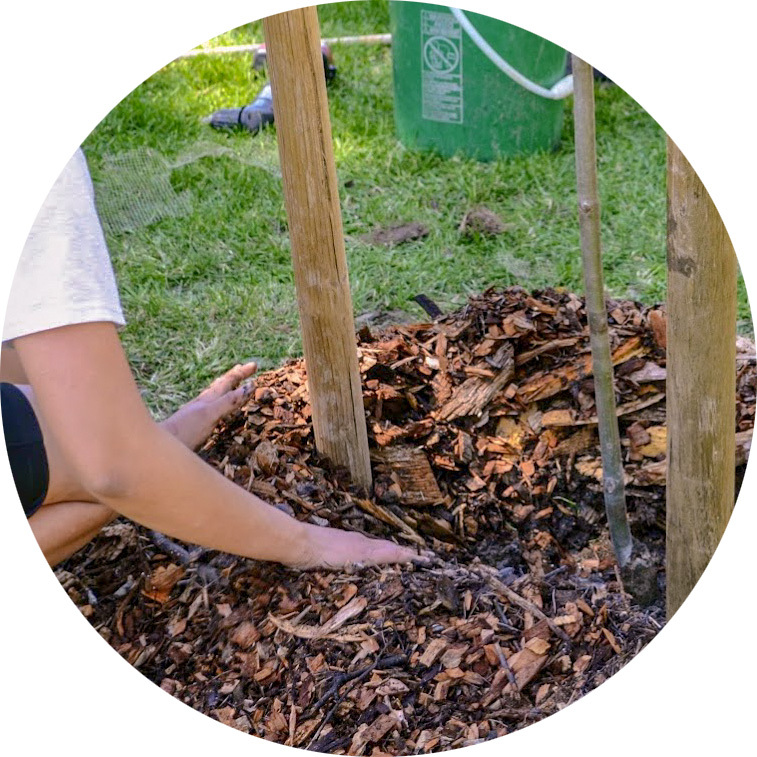 Proper care is vital for healthy plants and trees. See resources below for best Tree Care practices. Caring for your trees, especially during the first three years of its life, is an important part of building a sustainable urban forest. Trees growing in an urban environment face challenges that trees in their natural setting would not. Please choose a subject from the list below - if you don't see what you're looking for, choose Other. Please provide as many details as possible. If you need to attach photos, please email them separately to treecare@ourcityforest.org. Our Tree Care team will get back to you as soon as possible. Please call us at 408-998-7337 x 118 OR email treecare@ourcityforest.org for further questions. Follow our best practices to plant your tree. Learn about hole prep, root balls, staking, soil and more. Learn proper techniques of DEEP ROOT WATERING, and its benefits for the first 5 years of your tree's life. Learn the correct techniques of BERM MAINTENANCE, which fosters sufficient deep root watering. Check out our PRUNING TECHNIQUES and steps for young trees. For mature trees, we recommend using a certified arborist.